Organised by Four Tigers Media, the event was the biggest gathering of female business achievers in the area and was also attended by a dozen of pupils, who got the opportunity to hear the inspirational stories of all the nominees. 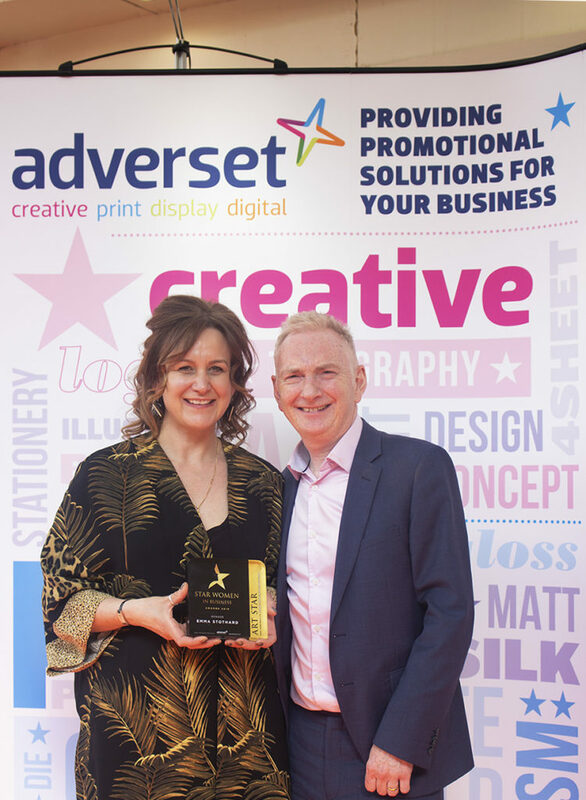 Our contribution included the production of display and print material and – an innovative new product for us – the creation of the award trophies, which were designed and manufactured by us using our range of acrylic signage. 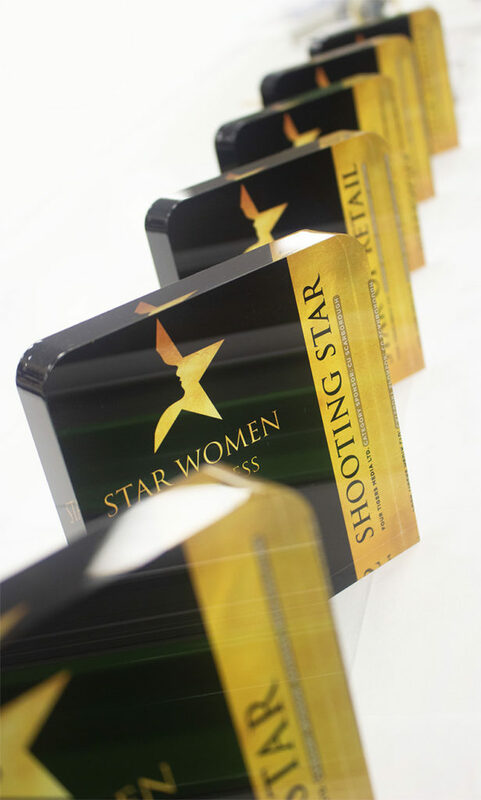 Acrylic Perspex is best suited for beautiful bespoke awards, having a glass-like quality and finish but also increased durability. 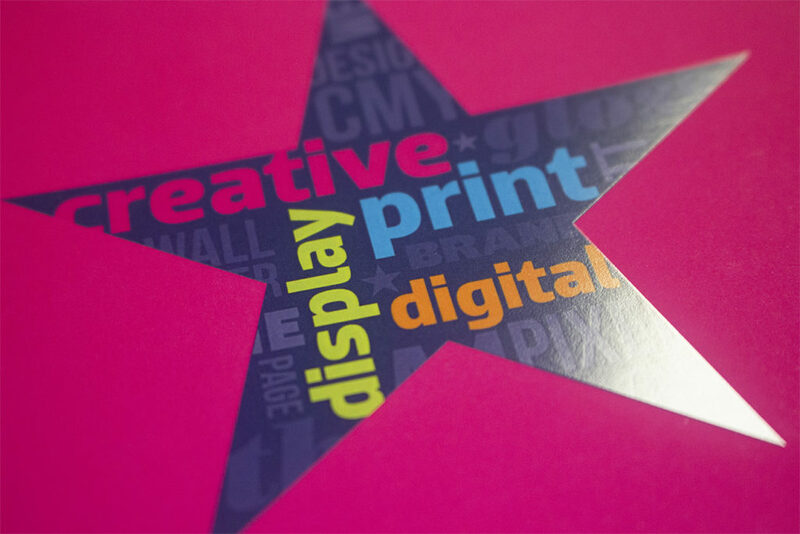 The range of options is limitless, with edge to edge printing and super vibrant colours. John Easby, our Managing Director, presented the award for the Art Star. 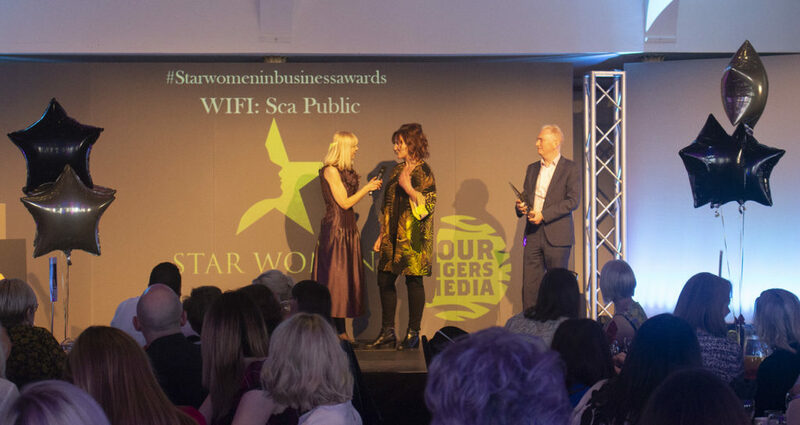 Commenting on the importance of this award, he said: “We were delighted to have been part of these awards recognising the achievements of women in business in this region. 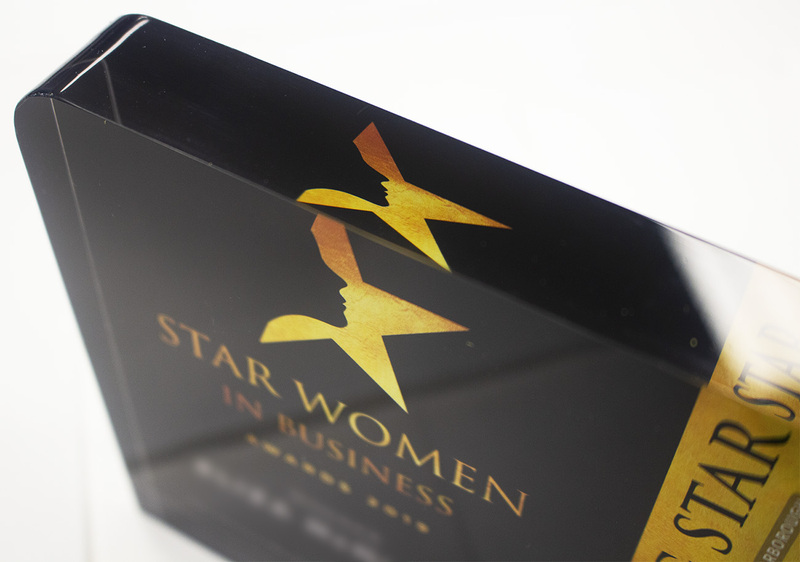 As a creative company, it was wonderful to see female entrepreneurs from the area receive well-deserved recognition for their creativity and we will continue to support all platforms providing opportunities for inspiring and encouraging future generations of businesswomen“. Congratulations to all the amazing nominees, you are truly inspirational! Pictured below – the Art Star award winner, Emma Stothard.